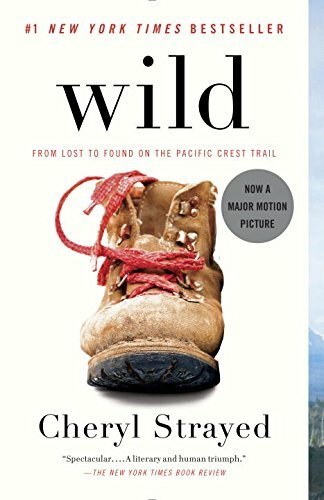 I just finished the book Wild by Cheryl Strayed. I ordered it on a lark, during one of those cold days in February when I felt dark, dank, and hemmed in by life and the weather. Travel adventure books have always been a favorite of mine, and to a certain extent they fueled my desire to write. Indeed, this blog came about because of my travel blogs. The book itself is a wonderfully written story, carefully and artfully crafted to show the multiple facets of both life on the trail and of life in general. Because of this beautiful story, I pushed off much of my blog writing to hike the trail with her, metaphorically. I finished the last few pages on our front porch swing this weekend, watching the sky grow dark with a pending thunderstorm, then enjoyed the sound of drumming rain as the clouds released their bounty. This book brought back to the surface my desire to live a life different and how that is so much harder here in Nashville. I’ve felt the ever present pressure to accept the urban family life, to slow down and worry more about 401Ks, PTOs, and craft whiskey than what is happening inside my soul. In an odd convergence, right as the thunderstorm was kicking into high gear, I get a call from a friend in the Bay Area. I gleefully discuss various visions of the future that we have, discussing risk taking and startups like a cat laps up milk, hungrily devouring new ideas of commerce, business, and careers. My friend is getting married in November and recently did what many of the denizens of the Bay Area do – quit his job and went for a long journey. My soul longs to do this again, but I’m weighed down by the mortgage and health insurance burdens of my current wholesome middle american life. The book, as its subtitle “from lost to found” suggests, is about how the hike allowed Cheryl to process the grief of her mother passing away at an early age due to cancer. Physical activity, especially physical activity that pushes you to your limits, is very cathartic. It certainly has been that for me. However, my body can hardly handle walking without some joint or tendon rebelling, so pushing the limits physically is, to a certain extent, over for me. Nature seems to be all that is left for me to enjoy, and this book makes me miss the wide open spaces of the west. I’ve visited and done short hikes in many of the areas she describes, and it almost brought me to tears. I clearly remember my hikes up South Sister, Three Fingered Jack, and Diamond Peak. I remember the sky so blue it hurt my eyes, the water so cold that your skin went numb before you finished scrubbing away the sweat of the day, and views to the horizon with no sign of human habitation. All these things, and more, helped me get through my thirties and much of what I was struggling with, particularly my failed first marriage. I’m still not sure what to do with this sediment of my past life, suddenly stirred up by a well-written book. Eventually the cloudy detritus will settle again, and I’ll concentrate on what brings fulfilment now – family, friends, time. I just have to find another way to subdue my demons, quiet my heart, and listen to what God has to say. How Good Are You At Counting Turtles? It sounds like you need to go on Amazing Race since you love adventures. Life definitely changes as we age and gain responsibilities, but there’s a time and a season for everything, and I choose to relish the season I’m in. Before you know it, Evie will be grown and gone (or worse, prefer to hang out with friends than you). I think the little hikes and outdoor adventures you go on with her now will help kindle that love of nature in her, as well as create a strong bond between father and daughter. Funny you should post this now. Yesterday I asked which Sister you climbed when we were with you that day, but nobody could remember.